As a science blogger, I love to talk about all things science related with like-minded people. I had my spots in Philadelphia, which was my home for the last 6 years .. until now. I've moved to Milwaukee, and one of my main concerns is making sure I can find places where I can geek out about space, Iron Man 3, and the latest video game. 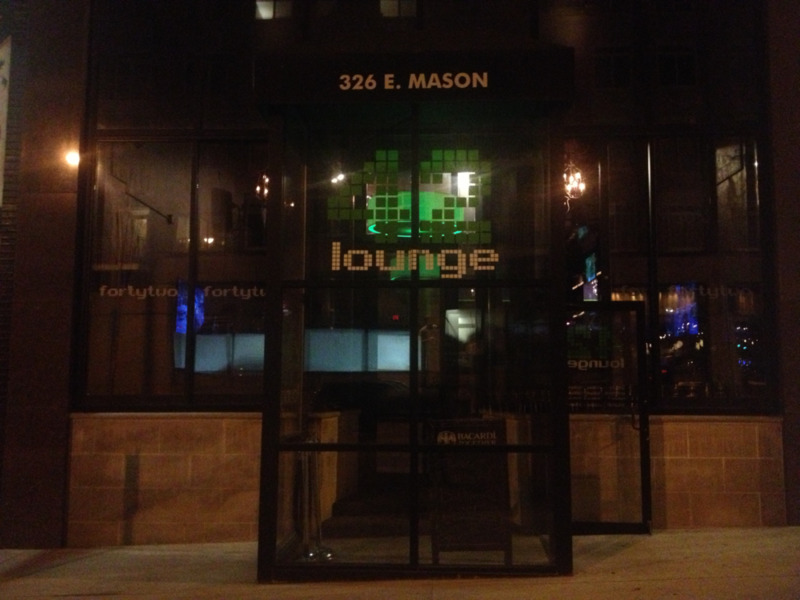 Luckily I've found a great place to hang out at the 42 Lounge in downtown Milwaukee. Watching live video game matches like Starcraft at a bar is heaven. The great thing about places like 42 Lounge is that it has a nerd theme. Video games, tabletop games, and general science and tech talk rule the day - along with alcohol of course! Speaking of drinks, there are some great geek themed drinks from this list - my favorite so far is the Pokemon drink Lavender Town Syndrome (Hpnotiq, Vodka, Grenadine, Sprite). I was also able to test out the wifi connection using a Blackberry Z10, as well as take the photos for this post. It was great to be able to talk about phones with other geeks in the area. Many of them, including me, had long given up on Blackberry after being surpassed by Google Android OS and Apple iOS phones, but the Z10 has changed many minds. Being able to hand them the phone and have them play with it, debate about it, and compare it with existing phones was a huge plus. Check out the videos below for an interview with 42 Lounge co-owners Tony and Lynn Nilles, as well as a tour of the bar itself. This post also appears at TWIB.